WITS » WITS Presents A Light in the Forest, An Earth Day Celebration at the Arboretum – April 22, 7 p.m. WITS Presents A Light in the Forest, An Earth Day Celebration at the Arboretum – April 22, 7 p.m. 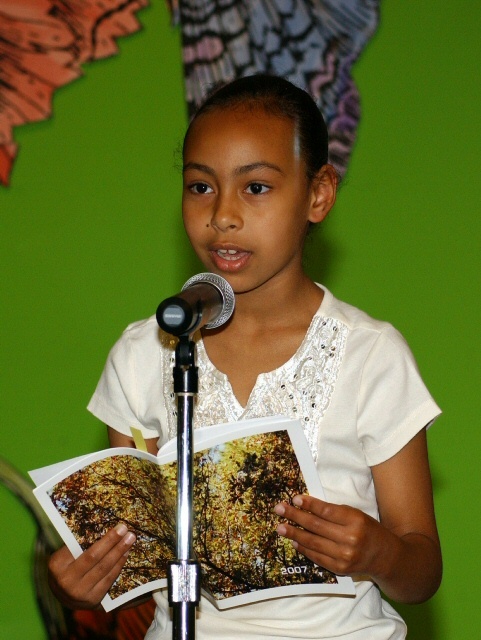 In celebration of Earth Day, Writers in the Schools (WITS) and The Houston Arboretum and Nature Center partner to present nature writing by Houston students from Briarmeadow, Kujawa, Looscan, Neff, St. George’s Place, and T.H. Rogers School . The reading is called A Light in the Forest, and it showcases the best work that was created during the year through the WITS Environmental Writing Project. WITS Environmental Writing Project is made possible by generous donations from the Shell Oil Company. When: Wednesday, April 22, 2010, 7 p.m. WITS congratulates these amazing young writers! Please join us on April 22 for a chance to hear their nature-inspired stories.